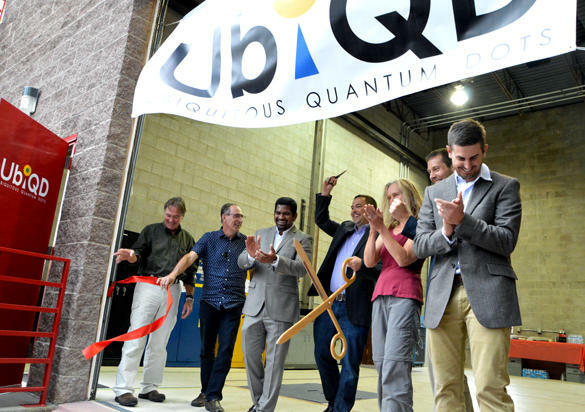 UbiQD Chairman of the Board, Founder and President Hunter McDaniel, center, cuts the ribbon at the grand opening during Friday afternoon. Photo by Carol A. Clark. See the full story with more pictures at the Los Alamos Daily Post.